Award shows have never really been my thing. GASP, I know. For the past few years, MTV has been focused heavily on increasing social media engagement. 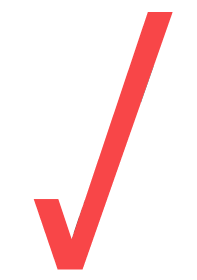 For example, this year MTV created its own unique emoji for the VMAs. The neon-colored Moonman emoji is inspired by the Moonman-shaped award that is given to VMA winners. All tweets that used the hashtags #VMA or #VMAs were tagged with this exclusive emoji. And this tactic worked, at least on social media. While the viewership for the VMAs was actually down this year (9.8 million viewers across Viacom networks, down from 10.3 million last year), engagement was way up. In the US, 2.2 million people sent 21.4 million tweets around the VMAs, up almost 70% from last year. The hashtag prompted an impressive 4.19 million uses, almost threefold the 1.44 million hashtagged tweets from last year. And, notably, the VMAs were the most-tweeted non-sports program since October 2011. These numbers give an interesting look as to the focus of the media market. Engagement is now more important then viewership. It is the same in most industries today. Turning on a TV station, viewing an ad or even visiting a webpage is one thing. But, the real test of effectiveness is engagement, if a person engages with the brand, show, or product, they are a more valuable customer in the long run. In creating content for your brand, shift your lens from "how do we get eyeballs" to "how do we make people care enough to act". Determining the action you want potential customers to take and how to inspire that action will reap deeper benefits that just splattering your name everywhere.